Isoran GOLD has been developed to provide a more powerful version of RPP and Silver belts. It is suitable for a very wide range of applications in power transmission. This type of belt combines the advantages of gears and Multi-Rib v-belts, minimizing the drawbacks of both. 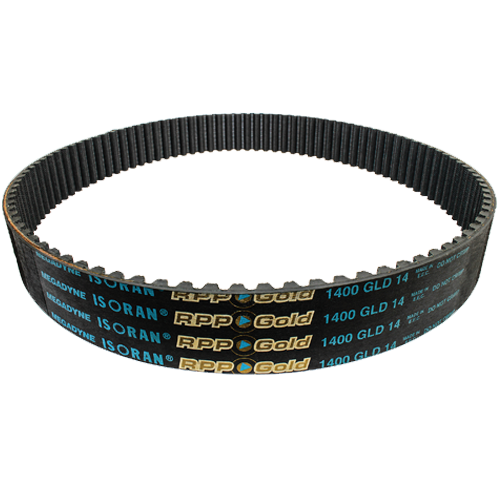 GOLD belts feature the RPP profile, designed also to be interchangeable with existing deep groove profiles and to run on pulleys according to ISO 13050. Isoran GOLD provides the same performance of chains and gears, without the disadvantage in terms of weight, noise, lubrication and maintenance costs. Isoran GOLD allows the reduction of width and dimensions of pulleys due to its higher power rating. The body is made of high quality rubber chloroprene compound, hardness 90 ShA. Isoran GOLD features a special high power K-glass cord. 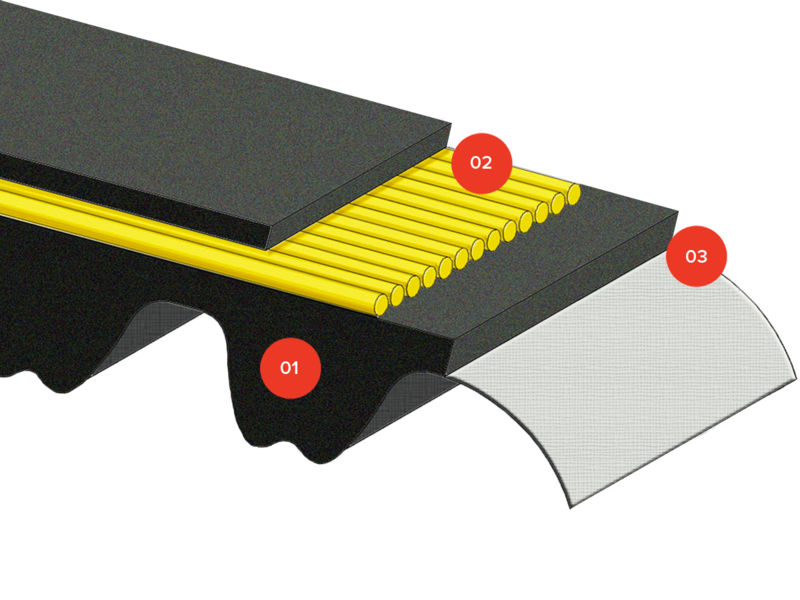 Isoran GOLD has two nylon plies on the teeth to improve belt wear resistance and to reduce friction levels. Are you interested in Isoran GOLD?